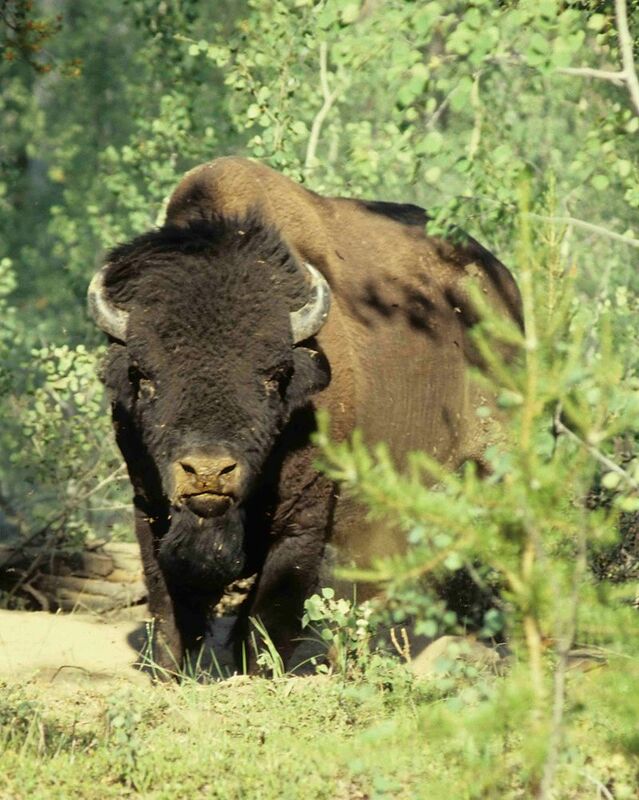 Wood Bison reintroduced into Alaska in 216. The animal is shown here in Alberta. It was a banner year for Alaska in 2015, filled with history-making moments and plenty to celebrate. Before we get too far into the new year, we’d like to take a moment to reflect on some of the highlights of the past 12 months, from presidential visits to the reintroduction of North America’s largest land mammal. We don’t yet know what’s in store for 2016, but last year will be a tough act to follow! We witnessed the reintroduction of wood bison to the wilderness of Alaska. North America’s largest land mammal hadn’t existed in the wild in Alaska for more than a century, but thanks to a reintroduction project 23 years in the making, a herd of 100 bison was released near the Lower Innoko and Yukon Rivers in Western Alaska this past year. The Alaska Department of Fish and Game worked closely with the Alaska Wildlife Conservation Center to care for and cultivate the wood bison herd before it was ready to be released into the wild. When the time came, the bison were flown in wooden crates from Portage in Southcentral Alaska to Shageluk, a Western Alaska community of around 65 people. Here, before they dispersed, the wood bison outnumbered the humans! The President of the United States paid a visit. In August 2015, President Obama became the first sitting president to visit Alaska and travel above the Arctic Circle. We had so much fun watching the White House’s official Instagram account share tons of images of the state we know and love. The President traveled from Anchorage to Seward to Dillingham and Kotzebue over three days, delivered remarks at the GLACIER Conference and even filmed an episode of “Running Wild With Bear Grylls.” He also enforced the official name change of Mount McKinley, North America’s tallest peak, to Denali, the Athabascan name many Alaskans have used for thousands of years. We celebrated Anchorage’s 100th birthday in true tent city fashion. It was the year of festivities in 2015 as Anchorage celebrated 100 years as an incorporated city. Cyrano’s Theater marked the centennial by presenting a series of plays that dramatized historical periods in Anchorage, decade by decade. The Anchorage Bucs and the Glacier Pilots, two local baseball teams, played a Fourth of July doubleheader in vintage uniforms and the Anchorage Chamber of Commerce hosted the Anchorage Tent City Festival on the Delaney Park Strip as a nod to what the city looked like a century ago, a collection of tents along Ship Creek. These activities and more filled our calendars with fun events throughout the entire year! Here’s to the next 100 years, Anchorage.